Sungwook Kim (S. Kim) holds a professor and is research director of the Network Laboratory at the Sogang University, Seoul, Korea. He received the B.S., M.S. degrees in computer science from the Sogang University , Seoul, in 1993 and 1995, respectively. In 2003, he received the Ph.D. degree in computer science from the Syracuse University, Syracuse, New York, supervised by Prof. Pramod K. Varshney. 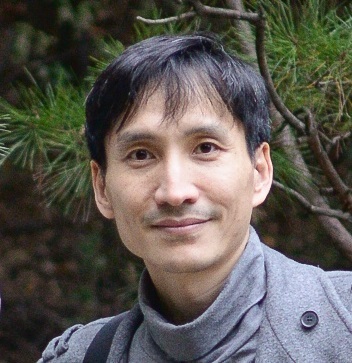 Since 2006, he has been with Sogang University, where he is currently a tenured professor of Department of Computer Science and Engineering. His current research interest is game theory for wireless network management. Game theory is a branch of mathematics that studies the interactions of multiple independent decision makers that try to fulfill their own objectives. Today, it is applied to telecommunications as the users try to ensure the best possible quality of service. He has received numerous awards and authored a number of scientific journal papers. In particular, game theory based research papers. Prior to this, he was a technical staff in AI. Soft Co. Ltd, (1994-1998), and held research scientist at the New York State Center for Advanced Technology in Computer Applications and Software Engineering (CASE) of Syracuse University , New York, USA, (1999-2004) and was full time faculty position at the Department of computer science, Choong-Ang University (2005). In 2006, he returned to Sogang University, where is his Alma Mater. He has served on a number of program committees of technical conferences and workshops including serving as a program co-chair, and also a member of the editorial board of scientific journals.